DSK: That is also expected around June. BA: Would it have any kind of additional features like ABS etc…? DSK: Yes, yes.. it will come with ABS. We have not yet decided whether it will be standard or optional but it will get ABS for sure. Shirish confirmed that the Tornado will be launched in India and they are expecting a time frame around June and it will be the first motorcycle to get ABS in the 300cc segment! Tornado 302 is the faired version of the already-sold-in-India TNT302 and gets a 300 cc inline twin cylinder liquid cooled DOHC engine. It churns out 35.3 PS of peak power and 27 Nm of maximum torque. Braking duties are performed by twin 260 mm petal disc brakes upfront and 240 mm single disc at the rear. In terms of looks, we see a minor resemblance with the Daytonas. It gets blackened dual headlamps and relatively longer side profile along with Metzeler tyres. 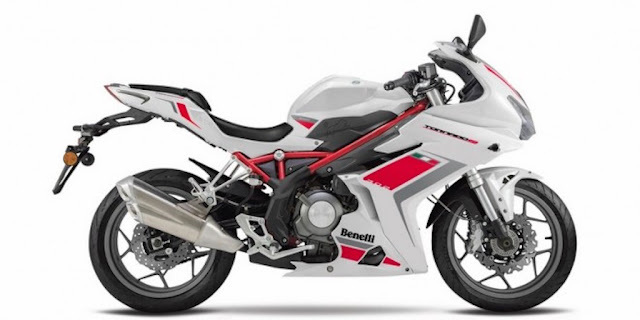 It continues with the steel Trellis frame and expect it to emit out an even more thumpier exhaust note than the naked sibling. So, its a wait of roughly five to six months before this R3/Ninja 300 rival goes all berserk on our roads.